Topdress with rich compost when new growth appears. Fertilise established clumps with a balanced organic fertiliser in the autumn. Showy and fragrant, hyacinths make great feature flowers in the spring garden. Their naturally upright posture gives them a formal demeanour. Planting hyacinths behind daylilies or other summer-blooming perennials hides the fading foliage from view. Hyacinths bloom well for only one or two seasons in warm climates with mild winters. When hyacinths are handled as perennials in cold climates, flower size tends to decrease over time. Hyacinth bulbs require 6-8 weeks in a refrigerator before planting out in warmer areas. 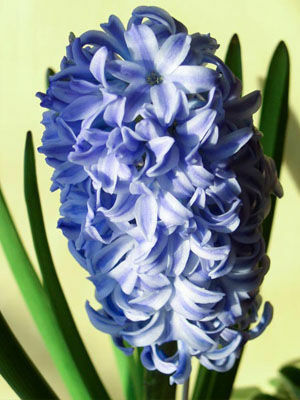 Hyacinths are best treated as annuals in warmer areas.